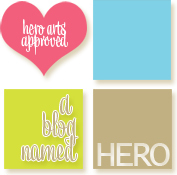 I've got a card to share for the A Blog Named Hero Tone on Tone Challenge this month. I used shades of Hero Arts mid-tone inks to ink up the layering orchid stampset to create this card - Two layers of Pale Tomato and one with Royal Red. The stem was inked with the Hero Arts ombre ink pad. This post is for the A Blog Named Hero's Facebook Fan Page. lovely card Cecelia - love how you used the blue shades for the stem - looks so good with those flowers - thanks for joining in A Blog Named Hero this month!! Beautiful! 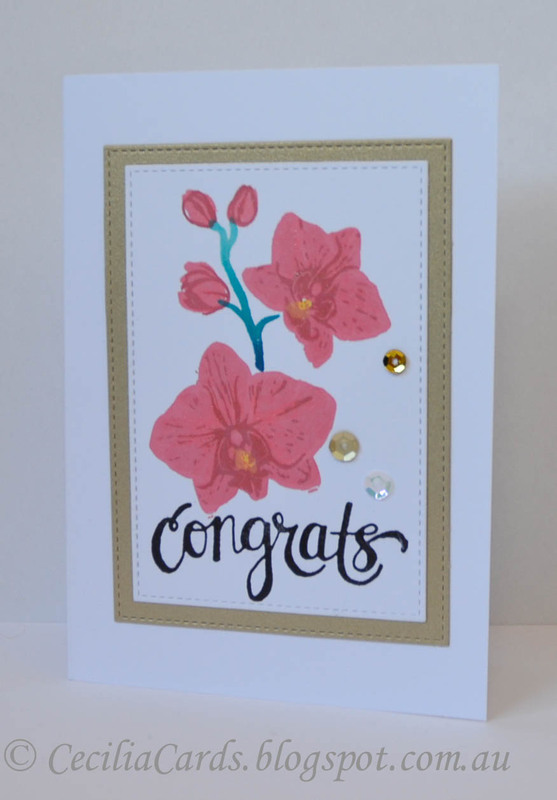 The Tone on Tone flowers really set off the script sentiment for a stunning floral card. Thank you so much for sharing this with us at A Blog Named Hero! Great work.